Look! It’s animated! Regular version is here. The “debacle” over the firing of Canada’s ambassador to China is the latest in a string of foreign-policy failures for the prime minister, Conservative Leader Andrew Scheer charged on Monday. Scheer also cited Prime Minister Justin Trudeau’s controversial photo-op-filled trip to India last winter, said Trudeau made “concession after concession” on the trade front to U.S. President Donald Trump, and frustrated Japan and Australia when Canada didn’t immediately sign on to a rebooted Trans-Pacific Partnership in late 2017. “It’s clear that the prime minister’s foreign policy is a disaster and Canadians are paying for his mistakes,” Scheer said in the first question of the government in the newly constructed House of Commons in the West Block of Parliament Hill. The final sitting of Parliament before this fall’s federal election opened with the Liberals on the defensive, following Trudeau’s decision on Friday to fire ambassador John McCallum. 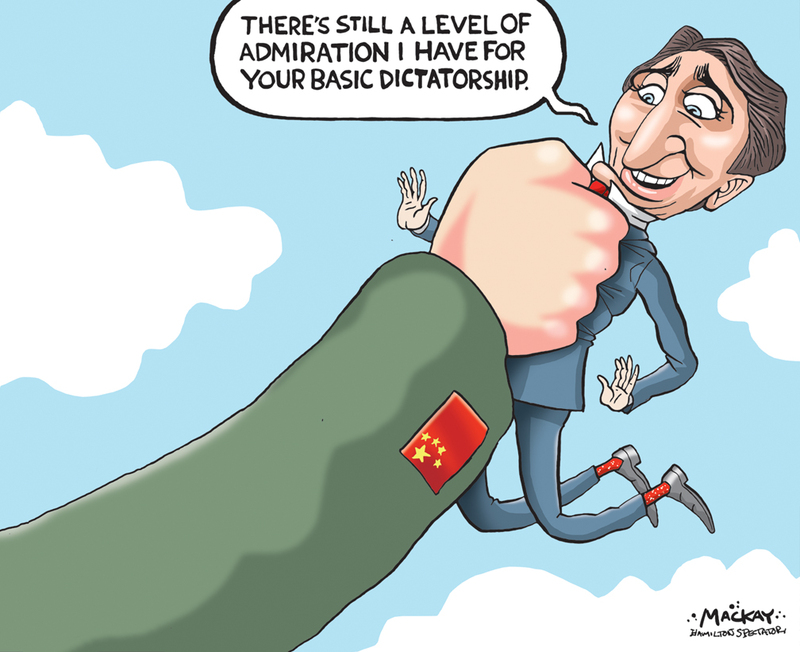 The move came after a turbulent week that saw McCallum — an experienced cabinet minister who was parachuted into a sensitive diplomatic job with Canada’s second-largest trading partner — go off script in Canada’s efforts to win the release of two men imprisoned by the People’s Republic after Canada arrested a Chinese telecommunications executive. “After clowning around in India and inviting a convicted terrorist along with him, he then was forced to take concession after concession from Donald Trump. He even angered our partners in Japan and Australia. And now we have the debacle with China. Why did the prime minister show such weakness and wait so long to fire his ambassador?” Scheer demanded. Trudeau sidestepped the question and reiterated taking points about how the government is devoted to the rule of law and remains committed to marshalling international support to win the release of the two Canadians and seek clemency for a third man facing a death sentence on drug charges.